Biohealth Energy Systems Ltd., located in Vernon BC., has 28 years of experience in the integrative “energy medicine” field with expertise in microcurrent therapy for pain management. We empower our clients with the tools to help them reduce their pain and improve their health right at home. Biohealth is the Canadian distributor for the Tennant Biomodulator, biofeedback controlled microcurrent device indicated for the treatment of chronic intractable pain. The Biomodulator was developed by Dr. Jerry Tennant MD., to help him restore his own good health after he succumbed to a life threatening neurological disorder caused by a virus, which was ingested through his mask during surgery. As an Integrative Healthcare Practitioner, he used the Biomodulator in his practice to assess and balance the “voltages” in his patients thus improving their health. In his book, Healing is Voltage, Dr. Tennant states “We are constantly wearing out our cells and have to replace them. We get new cones in our retina and replace the lining of our gut every 2-3 days. We replace our skin every 6 weeks and our liver every 8 weeks. Chronic disease occurs when we lose our ability to make new cells that work. 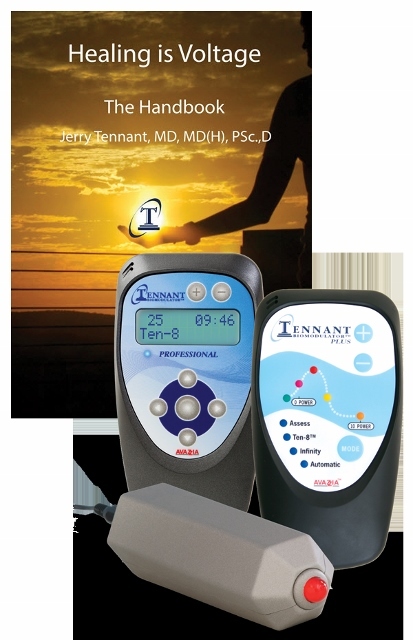 This book discusses how that happens and what to do to correct it” At the Kelowna Wellness Fair we will demonstrate the Tennant Biomodulator and related accessories in our booth. We welcome healthcare providers as well. Further information can be found on our websites www.tennantbiomodulator.ca and www.biohealth.ca Be well!